Meet Scott Ridley, author of Morning of Fire, who will present recently discovered information about Captain Kendrick’s 1791 arrival in Japan. Kendrick was the first to attempt trade with Japan while flying the American flag. Come celebrate the 225 th anniversary of this remarkable event in American history. Mr. Ridley will discuss his new book and hold a book signing following his presentation. Walk back through time in this historic Wareham site and experience a way of life when our country was newly born. Captain Kendrick was a privateer during the American Revolution and financed the first school in Wareham. Overlooking the Narrows Historic District, the home was purchased by Capt. Kendrick, along with the wharf across the street in 1778 from David Nye. 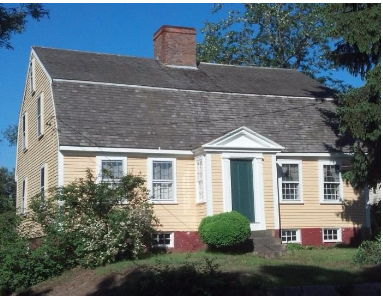 The home is a gambrel roofed Cape style built around 1745. The Wareham Historical Society began operating this building as a Maritime Museum in 1976. For information, please contact Angela Dunham, WHS President 508-295- 8578.